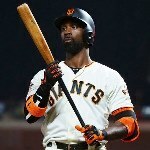 With the last month of the regular season quickly approaching the New York Yankees acquired Andrew McCutchen from the San Francisco Giants as they continue to bolster their lineup to prepare for the playoffs. Prior to today’s waiver trade deadline, the Bronx Bombers added McCutchen in a trade that sent infielder Abiatal Avelino and right-hander Juan De Paula to San Francisco. The 31-year-old outfielder, who was acquired by the Giants in the offseason, is having a solid year hitting .255 with 15 home runs in his first season with San Francisco. The 2013 National League MVP Winner spent his first nine seasons in the majors with the Pittsburgh Pirates, where he made five All-Star teams, won four Silver Sluggers, and a Gold Glove. McCutchen, also known for his strong leadership and clubhouse presence, will help the Yankees outfield production as they wait for slugger Aaron Judge to return from a fracture in his right wrist. To make matters worse, left fielder Giancarlo Stanton has been nursing a tight hamstring, relegating him to designated hitter duty. Since 2009 McCutchen, ranks second among MLB hitters in runs scored, as well as fifth in hits and walks. He is expected to make his Yankee debut tomorrow against the Detroit Tigers. In 2017 McCutchen batted .279 with 28 home runs and 88 RBIs in 156 games for the Pirates. He is in the final season of a six-year, $51.5 million contract he signed in March 2012. McCutchen cleared trade waivers earlier this month, meaning he could be traded to any team at any time. With the Giants have out of the playoff race, and with McCutchen set to become a free agent after the season, trading him for prospects was a wise move. In 90 at-bats in August McCutchen had 22 hits, four homers,11 RBI, four stolen bases, 19 walks and averaged .244 at the plate. The Yankees began the day with an 84-50 record, 8.5 games behind the Boston Red Sox in the AL East. They are 4.5 games up on the Oakland Athletics for the top wild-card spot and nine games up on the Seattle Mariners for a wild-card spot in general.